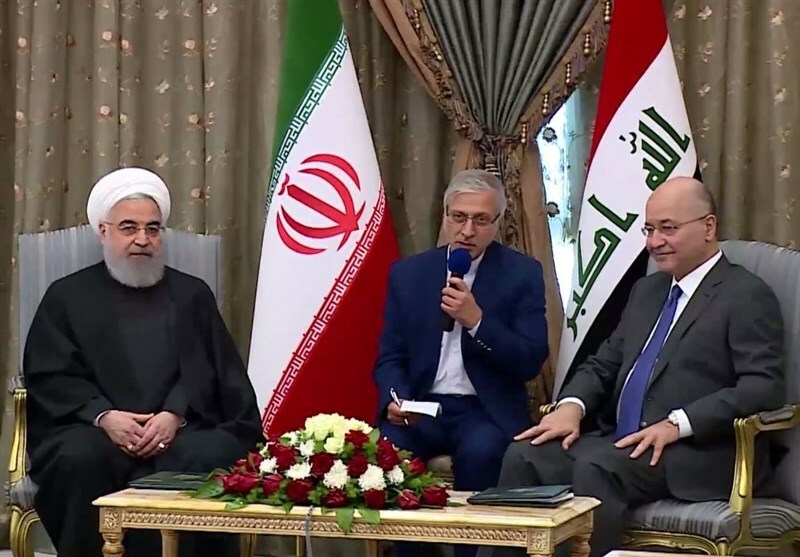 TEHRAN (Tasnim) – Iranian President Hassan Rouhani reaffirmed Tehran’s determination to boost relations with Iraq, stressing that nobody could damage such amicable and brotherly bonds. 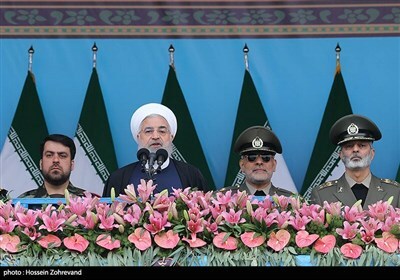 In a meeting with his Iraqi counterpart in Baghdad on Monday, Rouhani referred to the friendly, brotherly and developing relations between the two countries and stressed more efforts by the authorities to deepen bilateral, regional and international relations. He also appreciated the hospitality of the Iraqi government towards the Iranian delegation and expressed hope that the visit would further develop relations between the two countries, according to his official website. “Iran and Iraq can develop their cooperation and relations in different fields, such as energy, transportation, transit of goods, taking better advantage of the Arvand Rud River and linking the railways of the two countries to each other,” he added. “The message of this visit is that no bureaucracy and third country can affect the amicable, brotherly relations between Iran and Iraq,” he underlined. “We will never forget Iran’s brotherly backing of Iraqi people in hard days and we will stand by the people of Iran as well,” Salih stated. The president of Iraq also welcomed development of relations between the two countries in different fields, including railways, tourism, the environment, industry, mining, and scientific and cultural cooperation.